Stuck on what gift to get your friend, mom, girlfriend, or wife? At least one of these ideas is sure to make her smile! There are homemade ideas and ones that are simply unique. These are the most creative gifts for her! This wine bottle holder is fun, and a great gift for the wine lover. But, if she isn’t a wine lover, you can always use a beer or soda bottle instead. There are many animal styles this holder comes in. One of my favorites is this bear. This key is sleek and stylish so it’s a great add on to any key chain. It has tools in case they’re needed, and it looks neat. A perfect gift for any lady. 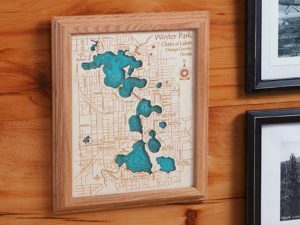 This is a perfect gift for someone that has a lake home, or loves to visit a specific lake. It looks beautiful in any cabin, and is definitely a great conversation piece. If you know someone that has lived in their home a long time, or just purchased a new home, this is a wonderful gift! It is creative and pretty, perfect for any lady. What lady doesn’t love to cuddle up with a cozy blanket? 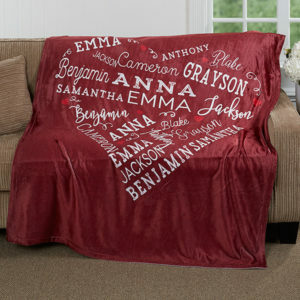 You can personalize this blanket, and make it all the more special. 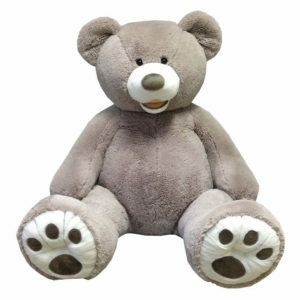 Giant stuffed animals aren’t just for kids, us ladies love them too! They are fun and make creative decor. This bear is HUGE, it’s 53 inches tall. Ladies love candles, and we love jewelry! When you burn these candles you will find a hidden piece of jewelry inside. To make these even more exciting, the jewelry is valued from $10 to $5,000. What a unique gift! I’ve talked to and polled many women to come up with this list. 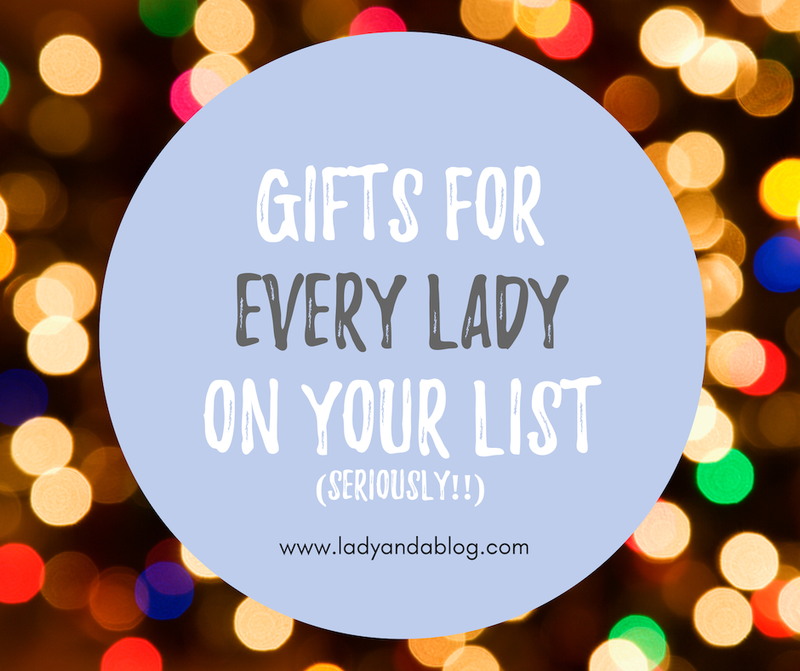 These are some of the BEST presents out there for ladies. They are unique and creative gifts she’s sure to cherish! Interested in learning about the softest leggings for ladies? Check out this article! By KatyIn Lady and a BlogTagged best creative gifts, creative gifts for her, gifts for ladies4 Comments on Creative Gifts for Her – She’ll LOVE these! 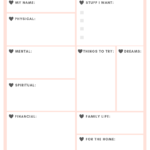 Next Next post: Free Vision Board Template – Plus Ideas! Numbers 5 and 6 are my favorite. I didn’t even know candles with hidden jewels existed. Now that I’m aware, I’ll forward this post to DH, hoping I get one as a gift soon. I also have an idea of a Christmas present for someone dear..
Once again, you delivered. Thanks Katy. Thank you, I’m so glad I could help!! These are fun gifts! You have a great site. Thanks for the blog on weighted blankets. I know someone with seizures who could use one so I sent them the link. You offer very feminine gifts, you are right, what woman wouldn’t be happy with one. I especially like the map. Great site. Thank you so much, so glad I could help! !